The Name of first work-sip God Ganesh Himal trek is one of the best trek in central Nepal on non touristy trail.This trek involves no flight, the passes ar not very difficult and the trekking region is relatively warmer. 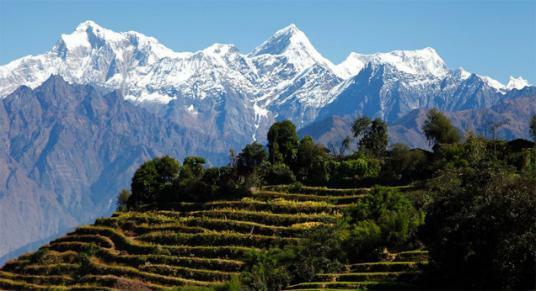 However this trek offers authentic experience of unspoilt Tamang villages, beautiful farm terraces and superb views of Ganesh Himal and other mountains. The trek starts after a few hours of drive along the Kathmandu to Dhunche highway.It passes throuh foothills and lowland farm terraces to ethnic Tamang villages on higher altitude. Along the trail, the trek offers superb close views of Ganesh himal, Langtang, Bouddha Himal, Hiunchuli and other peaks of central Himalaya.The highest altitude on this trek are the Shingla pass at 4200 m and Pansang La pass at 4100 m. These passes are also two finest view points on the trek.The Ganesh Himal trek ends at Dhading besi from where we catch our vehicle to Kathmandu. It is a fully supported camping trek, our trekking crew will carry the luggages and supply, the camp cook will prepare hot meals for your and the sherpas will fix the tents . You just carry a light daypack and on average walk for 5-6 hours. you will have chance to see really Tamang village and culture about Tamang during this treks. Day 03: Drive to Betrawati and camp overnight. Day 08: Cross Shingla pass 4200m and trek to Sheep Kharka (2500m). Day 16: Drive to Kathmandu for 4 hours. Evening farewell Nepali dinner with ethnic cultural show.